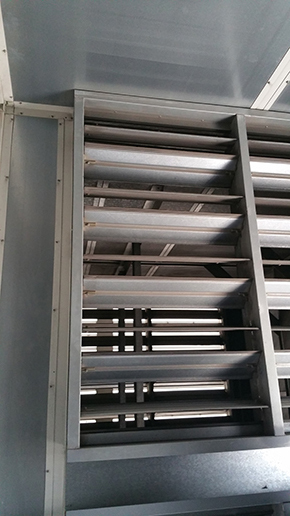 We aim to offer a dynamic and flexible service for the replacement of air flow DAMPERS, AIR HANDLING UNITS or DUCT SYSTEMS. We can fabricate DAMPERS specifically to fit the existing system as well as associated metalwork as required, to offer a complete installation solution. Where existing air flow DAMPERS cannot be removed, we can manufacture replacement to be installed within the existing DAMPER frames.